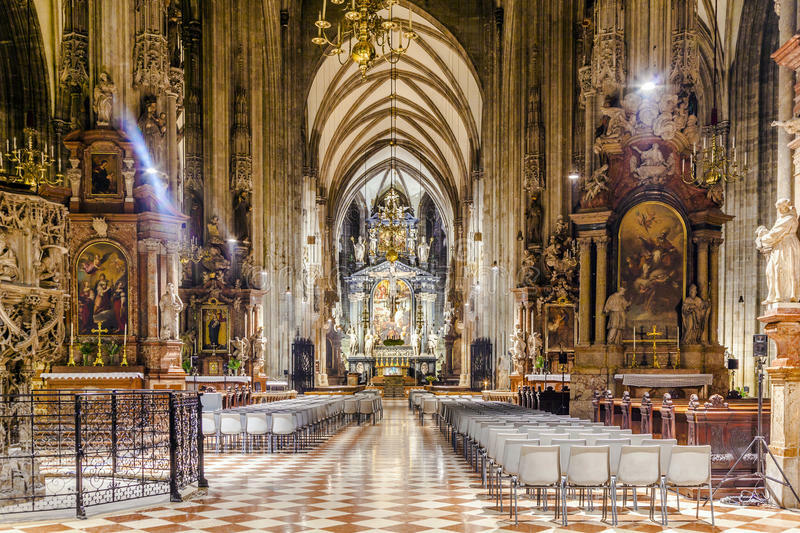 St. Stephen's Cathedral (Stephansdom) is the mother church of the Roman Catholic Archdiocese of Vienna and the seat of the Archbishop of Vienna. The current Romanesque and Gothic form of the cathedral was largely initiated by Duke Rudolf IV (1339–1365) and stands on the ruins of two earlier churches, the first a parish church consecrated in 1147. 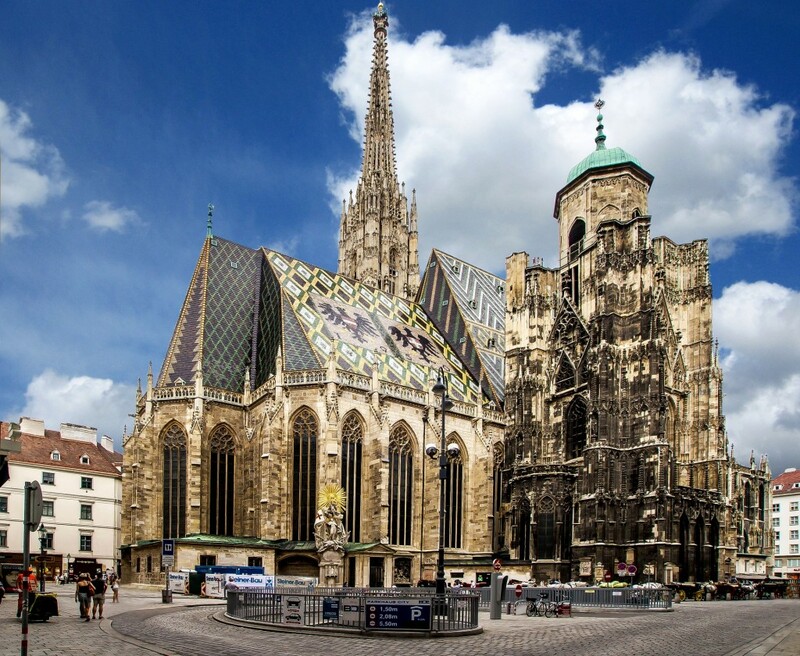 The most important religious building in Vienna, St. Stephen's Cathedral has borne witness to many important events in Habsburg and Austrian history and has, with its multi-coloured tile roof, become one of the city's most recognizable symbols. 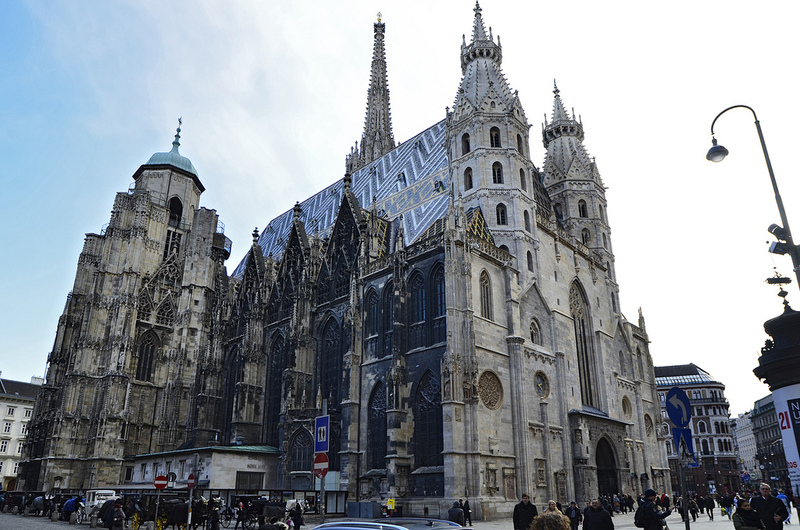 The oldest remaining parts of St. Stephen’s date back to the 13th century when Vienna was growing in importance and significantly expanding its city limits. Duke Rudolph IV of Habsburg, in 1359, laid the cornerstone of the Gothic nave with its two aisles. From then on, it took over two hundred years for the building to reach its present shape: The most prominent feature of the Cathedral is the Gothic South Tower, which was completed in 1433. The unfinished North Tower was capped with a makeshift Renaissance spire in 1579. During the 18th century, the cathedral was decorated with Baroque altarpieces - the panel of the main altar shows the stoning of its namesake St. Stephen, the first martyr of Christendom. Next to the North Tower elevator is the entrance to the catacombs underneath the cathedral. The underground burial place contains the mausoleum of the bishops, the tombs of Duke Rudolph the Founder and other members of the Habsburg family, and 56 urns with the intestines of the Habsburgs buried between 1650 and the 19th century in the Imperial Burial Vault. St. Stephen’s Cathedral houses a wealth of art treasures, some of which can only be seen on a guided tour, such as a red-marble sepulcher sculpted from 1467 to 1513, the pulpit from 1514-15, a Gothic winged altar from 1447 and the tomb of Prince Eugene of Savoy, dating from 1754. In the North Tower, Austria's largest bell, known as the Boomer Bell (Pummerin), has found its home and can be reached via an express elevator that takes you to the observation platform. The magnificent South Tower, which alone took 65 years to build, is to this day the highest point in the skyline of Vienna’s inner city. Climb the 343 steps of the tight spiral staircase that leads up to the watchman's lookout 246 feet above street level. The lookout was once used as a fire warden's station and observation point for the defense of the then-walled city. 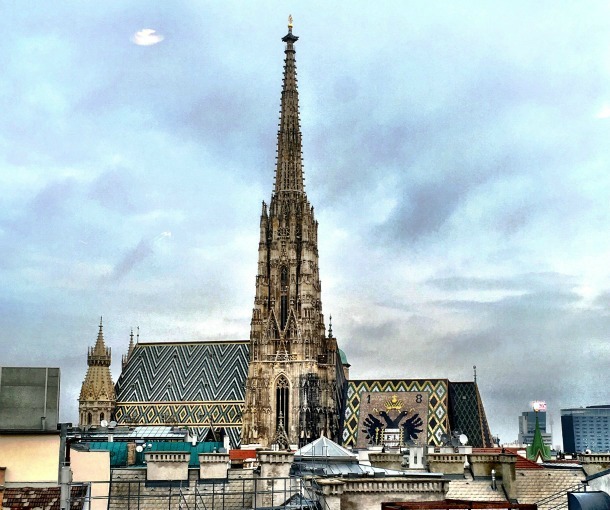 The climb is well worth it: Once at the top, you’ll enjoy the finest view over the Old Town in all of Vienna.